Even the word itself sounds like a sigh, an exhalation. Your mind drifts to summer breezes, the fragrance of lavender in the air, warm sun on your skin, sunflowers, olive trees, elegant beaches and Provençe rosé. This month the French #Winophiles are tackling French Rosé. Rosé, the wine of summer, can be made anywhere, from almost any red wine grape. The styles across the world vary and even within the borders of France you will find many expressions of “rosé” from Tavel to Alsace, sparkling rosés from Champagne and crémants from other regions. Even with all those rosés out there, when you first think of rosé, you probably think of Provençe. It is the largest wine region in the world that specializes in rosé. The French now drink more rosé than white wine, and the love of rosé from Provençe is global. There is a bit of history with this. 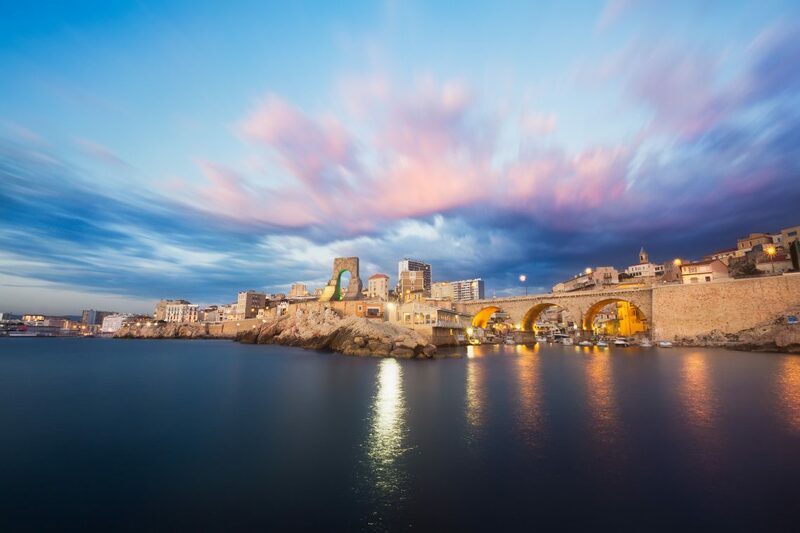 It was somewhere around 600 BC when the ancient Greeks founded the city of Marseille and brought vines to southern France. Most of the wines made at this time were lightly colored. The Romans came in 125 BC and claimed the region “Provincia Romana” giving it it’s current name. While the Romans brought red wines of a deeper note to the region, the quality and reputation of the lighter colored rosé from this region held. Today 88% of the region’s wine production is rosé. So there are 4 basic ways to make a rosé. Blending: You can mix red and white wine to get the desired color, but this method is not highly regarded, and is not used in Provençe. Back in 2009 there was a proposal to allow this method and French wine producers protested so vehemently, that the proposal was withdrawn. Saignée: Saignée means “to bleed” and wines made in this style are a byproduct of red wine making. As a red wine is fermenting part of the juice is drained off. This juice will be pink, because it has not had much skin contact. This concentrates the juice left in the tank allowing in a higher skin to juice ratio giving you a fuller red wine. Limited Skin Maceration: This method leaves the juice on the skins to “mascerate” for a short time (at least compared to red wines), typically 6 hours to 48 hours although in Provençe that time is more in the range of 2 to 20 hours. 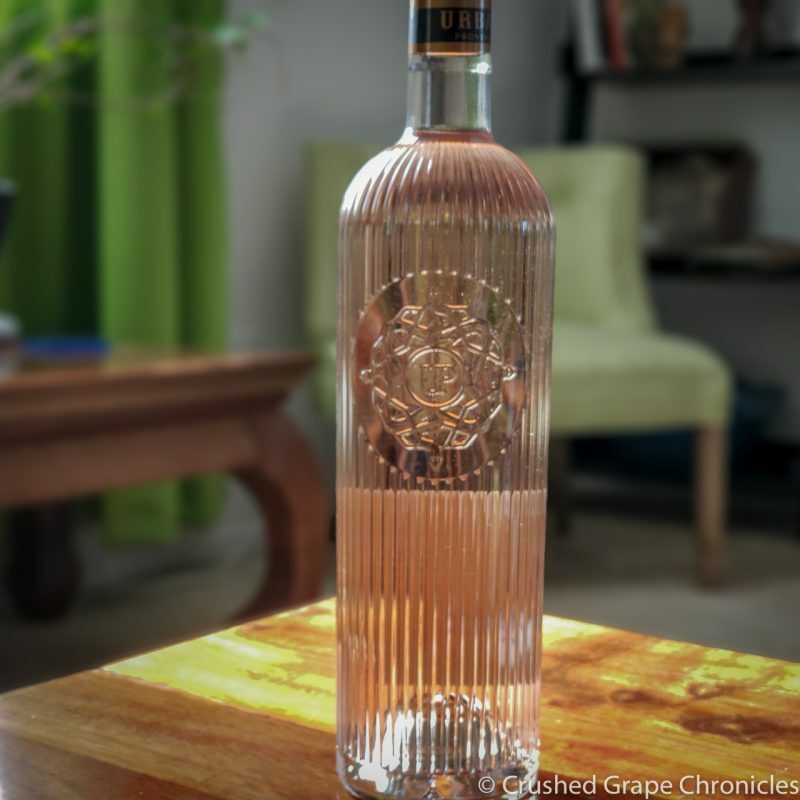 Direct Pressing: To make a really light colored rose, the grapes may be gently pressed and the juice taken immediately away to ferment, not left to sit on the skins at all. This will give you a light pink color, just a little bit from the skins, which is inevitable if they are red grapes. The last two methods are the most well regarded and there is one big reason for this. The grapes used in these methods are typically grown specifically to make rosé. The saignée method is using grapes that were grown to make red wine. They may be very good, but the vintner is focused mostly on the red wine and the rosé is a byproduct. With the limited skin masceration and direct pressing methods the grapes are picked with the acid to sugar ratio perfect for making a rosé not a red, and these can be very different things. Grapes for rosé will typically be harvested earlier than for red wines. This keeps the sugar low and the acid high. 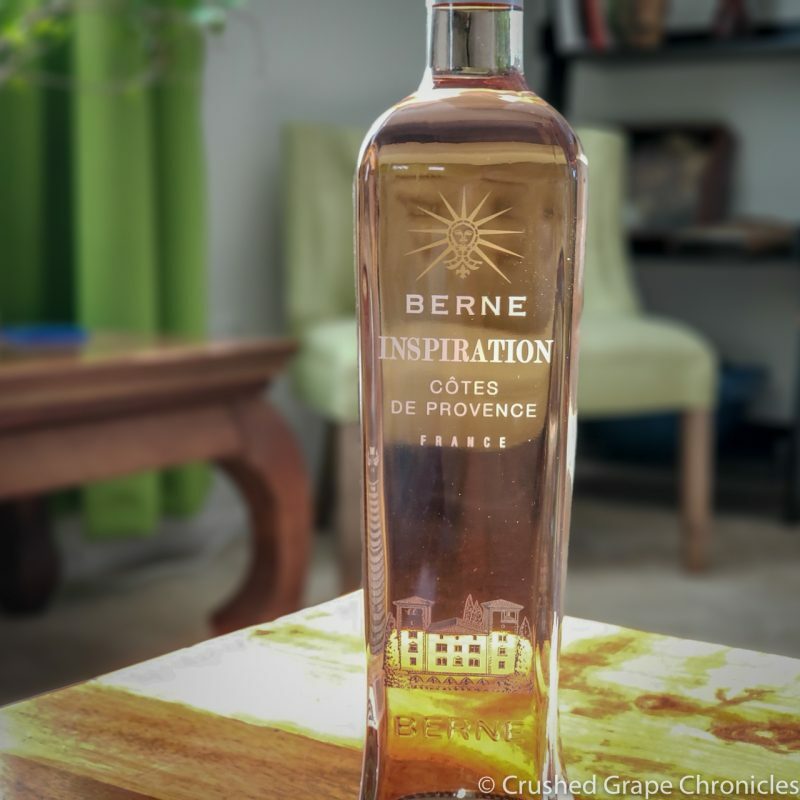 In Provençe that delicate light pink color is due to the majority of producers using the Direct Pressing method. Rosé in this region is typically made dry, that is with no residual sugar. The region of Provençe is large, it spans the south east corner of France with the Italian border to the east, the Mediterranean sea to the south, Occitanie to the west and Rhône and the Alps to the North. It includes the City of Marseille and on the coast encompasses St. Tropez, Cannes and Nice. North up the Rhône it takes in Arles where Vincent Van Gogh was inspired to paint his famous sunflowers. Overall the regions warm days and cool nights due to the Mediterranean Sea makes Provençe a perfect place to grow wine grapes. The area is also gifted with the “Mistral” a wind off the Alps that keeps the grapes dry, so there is no worry of mold on the bunches late in the season. 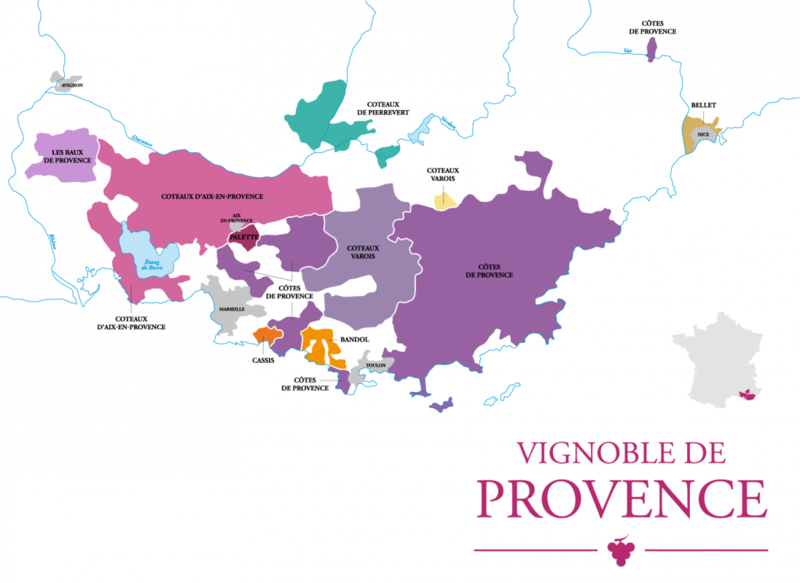 There are multiple appellations in the Provençe region, the largest being Côtes de Provence. Within this large region, there are many differences in the areas subregions, which you may see named on labels. These include: Saint-Victoire, La Londe, Fréjus and Pierrefeu. I recently had a friend mention Pierrefeu and I look forward to diving more deeply into this area. The Côtes de Provençe encompasses 49,000 acres and produces 123 million bottles of wine, 89% of which are Rosé. There are some rules within the AOC. Residual sugar is restricted to 4 grams per liter and the minimum alcohol level is 11%. The wines we tasted through are from the Côtes de Provençe AOC. Two are from the Château de Berne and the third from Ultimate Provençe. These wines were provided to us by Teuwen Communication and the Provençe Rosé Group, but all opinions are our own. The wine maker for all of these wines is Alexis Cornu of the Provençe Rosé Group. 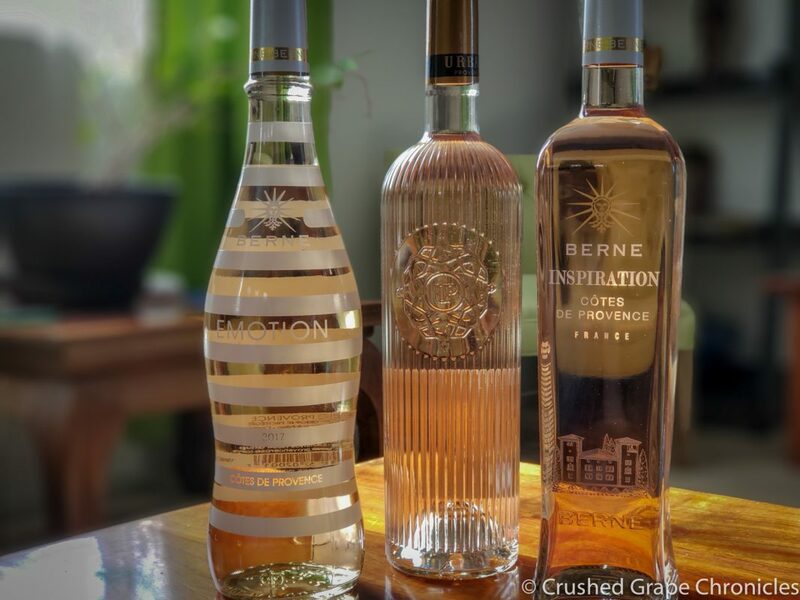 The Provençe Rose group has 4 estates; Château de Berne, Ultimate Provence, Châteaux St. Roux, Château de Bertrands. The Romans planted grapes here and the vineyard was a trading post along the Aurelian Way (the Roman Road from Italy to Spain). The Château site is on the Triassic Plateau, sheltered by forests, atop a Jurassic limestone bed. In addition to the vineyard the Château is home to a 5 star resort. The vineyard is 330 acres and they also source from other growers. The vineyards sit between 820 and 1082 feet in limestone and clay soils. Harvest here is done in the middle of the night to keep the grapes cool, which allows for more control in extracting color and flavor. Both of the following wines; Emotion and Inspiration do a 2-3 hour cold soak and are fermented in stainless steel. This wine is 50% Grenache, 25% Cinsault and 25% Syrah. Released in February of 2018 this 2017 Vintage sits at 12.5% alcohol and retails for around $16. This wine was the lightest in color and aroma. The scent of stone fruit pits and minerals first hit my nose. In my mouth, it’s tart with a hint of pink grapefruit and light notes of strawberries in the back. It went nicely with the goat cheese and I enjoyed the prosciutto and melon with this. 70% Grenache Noir, 20% Cinsault & 10 % Syrah. This 2017 vitage sits at 12.5% alcohol and retails for around $19.99. The color was slightly deeper on this wine and the nose a bit more prominent. I caught strawberries and slate, and then deeper red fruit like pomegranate. It was tart, and all that grenache in the blend loved the strawberries. Suggested pairings from the winery include: arugula and watermelon salad (which we had to make and try…we added crumbled goat cheese to ours) or shrimp cocktail. Just 30 minutes drive from Saint-Tropez this 100 acre estate is located near the village of La Garde-Freinet. The vineyard is in an area of oak forest and the soil is shallow with a subsoil of a sandstone slab. They have an amphitheatre where they hold movie screening and concerts and a restaurant with family style dishes. They make but one wine, Urban Provence. 45% Grenache Noir, 35% Cinsault, 15% Syrah and 5% Rolle (known elsewhere as Vermentino) it sits at 12.5% alcohol and retails around $22.99. This was the biggest of the wines, richer on the nose and the palate, with more complexity than the other wines. It was our favorite of the evening. Suggested pairings from the winery include: charcuterie spread, grilled shrimp or a fresh fruit tart. The truth is, rosé is a forgiving wine, it’s terribly polite with food, adjusting and melding to go with almost anything. It can pair with Asian, Indian, Italian, Mexican, Spanish, Thai, Chinese, Sushi, burgers, BBQ, Steak, Lobster…you name it. A couple of things to avoid are butter and creme sauces, bleu cheese and game, and quite honestly, bleu cheese and game could work if you were pairing with a deeper rosé, like a Tavel, or a Mourvedré rosé. I was really into the whole idea of Provençe, so we stayed for the most part with foods from the region, or things you might readily eat at a café or restaurant in the area. These are also pretty simple dishes that you can whip up easily, like we did, at home, without too much work. It’s Provençe right? We want to keep the relaxed feel going. Close your eyes, picture the lavender, sunflowers, olive trees, beaches..or scroll back to the top and soak those in again. We began with a cheese and charcuterie plate with sausage, brie, goat cheese, radishes, strawberries and olives, as well as melon wrapped in proscuitto and a watermelon, arugula and goat cheese salad. I definitely recommend the goat cheese, as well as anything with fresh strawberries or watermelon, which paired nicely, pulling forward the Grenache in each of the blends. With the melon and prosciutto you really can’t go wrong, the sweet and salty paired with the rosé and made the melon seem extra juicy. 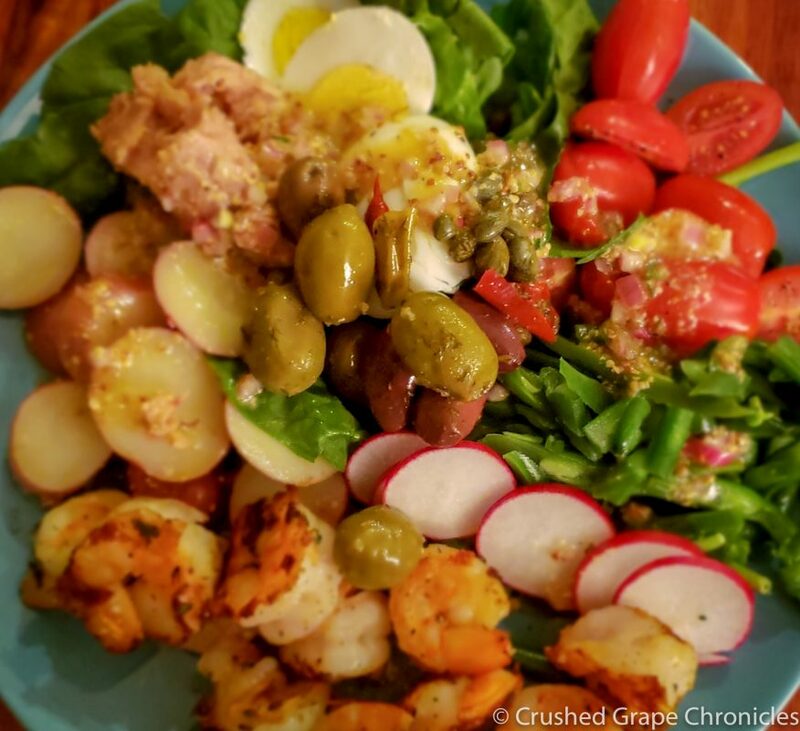 I wanted to do a traditional Salade Niçoise and we did a little shrimp on the side. I did not have all the ingredients to create Herbs de Provençe so we improvised with fennel and orange seasoning, crushed dried lavender and dried sage on the shrimp. The salade Niçoise was fresh spinach topped with red potatoes (that had been sliced, cooked and drizzled with a dry white wine), green beans, radishes, tuna in oil, capers, olives, sliced cherry tomatoes and a dressing of shallot, olive oil, thyme, dijon mustard, white wine vinegar, salt and pepper. By the time we arrived at this part of the meal, the wine had loosened our tongues and conversation was flowing and we were eating, drinking and enjoying company, which is really what these wines were meant for. Provençe is on my list of places to visit, but it is amazing how just by pouring a glass and closing your eyes, you can transport yourself to this perfect summer region. 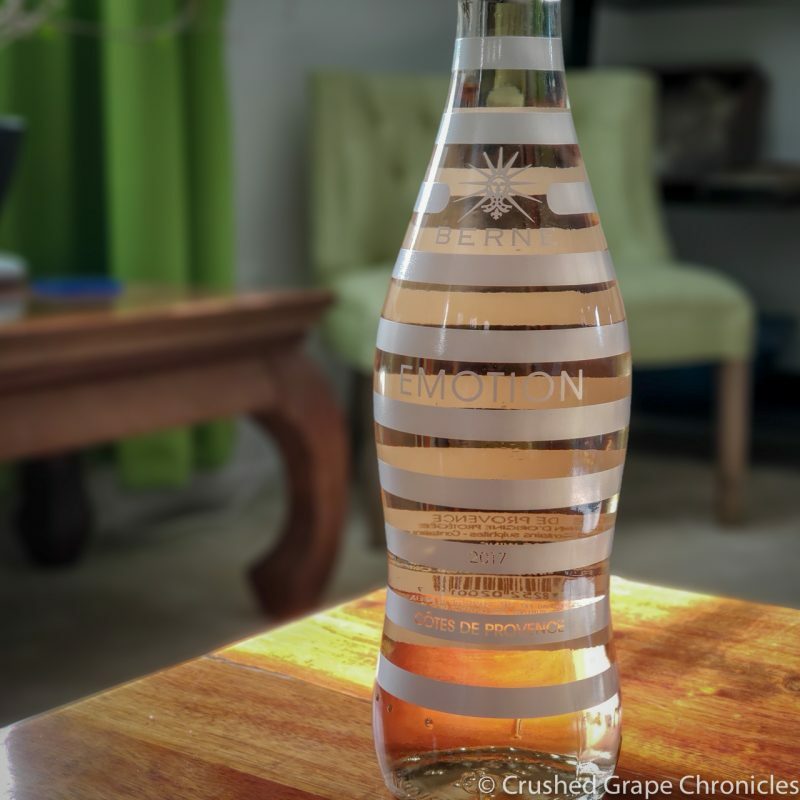 Grab a bottle and take a virtual trip. The French #Winophiles Rosé Party! You can join the French #Winophiles who will take to Twitter on Saturday morning July 21st to talk about all the amazing French rosés that they tasted! Just head to Twitter at 11 am EST or 8 am PST and type in #Winophiles to follow along and join in! And then grab a glass, pour some rosé and read the pieces below from some fifteen great wine writers on a variety of French rosés and wonderful things to pair with them! Lauren from The Swirling Dervish shares Celebrating Our New Home with an Old Favorite: French Rosé. Presqu’ile Rosé of Pinot Noir and a Strawberry, Citrus and Avocado Salad. We paired with a goat cheese, a sheep’s milk, and water buffalo. Delicious! We did a cow’s milk brie and a goat cheese. Sadly I couldn’t find an aged goat cheese. I love the water buffalo burrata. I had a friend who ran a farmers market that used to bring one in from a small farm in California, where they had brought water buffalo in from Italy to make the cheese. they had a burracotta also, which was ricotta like in the center. So delicious. I am inspired to get to the wonderful cheese shop on the south side of Vegas to dabble in some more exotic cheeses! I love this article. I learned quite a bit, especially the methods used for making Rose. Your photos are lovely and your pairings sound delicious. Thanks Wendy. It was really fun to dive into rosés and this region. There is so much in the world of rosé to explore. And thank you for the compliment on the photos! I love rose in the summer. It pairs well with just about everything. Thanks for this really informative article, learned so much! Love the in-depth information and your food pairings! I just went and picked up a Tavel…but now I have to start searching for some worthy Grower Champagnes for next month! Bubbles Casey! You know I love those! What a great post Robin. Love the photos. Sounds like you had some winners on your pairings too! Thanks Martin! I am inspired to try a heftier rosé with that spice rubbed tuna steak you had. I think it would be great, something along the lines of the Urban Provençe or maybe even a little deeper! I was disappointed i couldn’t participate in the Twitter party today as it looked like a great discussion. Loved your article and what a great overview. Nice to see Rose getting its due! Thank you! We missed you! It was a great conversation, as usual, but I always feel that they go by so fast and there is so much more I want to talk about! Yes, Lynn! There are so many things that I wish would be listed on wine labels! One of my favorite wineries always has detailed lists on their labels about the vineyards and wine making methods and I love that! And….I look forward to seeing you next week! I’ll have the salads ready! I LOVE your pairings this month! Rosé really is the perfect party wine because it’s so versatile! Fantastic summary of how rosé is made and the history of winemaking in Provence. Each of your pairings looks delicious, too! Cheers Robin! This is a very well laid out piece discussing Provence! Ironic reading this today as our team was focusing on Grenache varietal wines just yesterday from Provence and talking about how they’re such great summer and sea pairings. My favorite method is Saignée, I love the texture the style produces! Everything here looks really beautiful and delicious! A wonderful overview of the region! Wonderful overview of the region and great pairings.